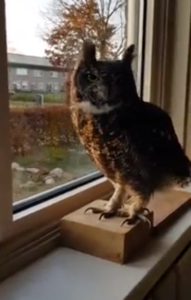 Great horned owls, in general, don’t have a whole lot to say. 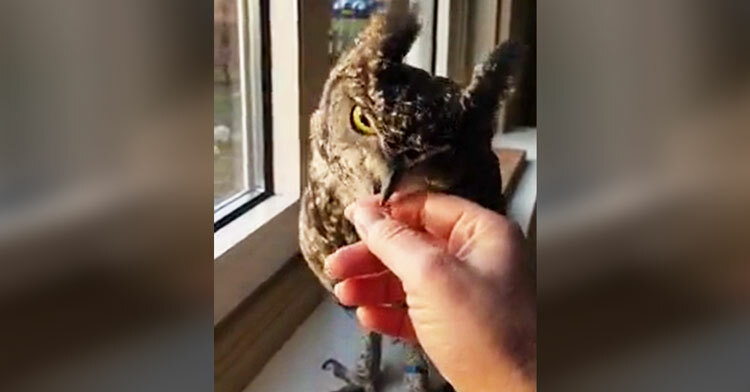 Fun fact: those “hoo hoo hoos” often have something to do with establishing territory, but owls also hoot as a way of cementing bonds; in this case, the owl is bonding with her owner. 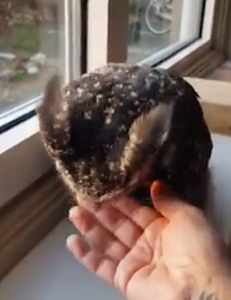 Every time there’s a break in the woman’s soft lullaby, the owl chimes in with an adorable “hoo hoo,” so perfectly timed that you’d think they’ve been rehearsing for weeks. 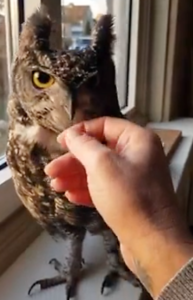 About halfway through the song, she steps off her perch on the windowsill and walks toward her owner’s outstretched hand, continuing to hoot even as she gives her fingers little love nibbles. This clip really captures a sweet moment in time, so be sure to watch it down below. Share with all your bird-loving friends today!